2015. 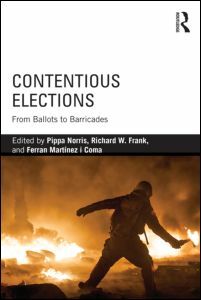 Contentious Elections: From Ballots to Barricades. Edited with Richard W. Frank and Ferran Martinez i Coma. New York: Routledge. ISBN: 978-1-138-85302-7. 2015 神圣与世俗 Sacred and Secular Chinese translation from the Chinese Academy of Social Sciences, Beijing. 2015. Sacred and Secular Arabic translation. Doha: Arab Center for Research and Policy Studies. 2014. Sacré et le profane French translation 2014 from Bruxelles: Editions Université. 2014. 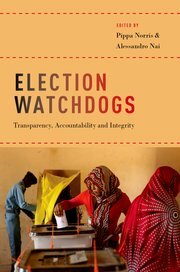 Why Electoral Integrity Matters. New York: Cambridge University Press. Pp.297. 2014. 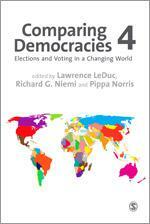 Comparing Democracies 4: Elections in a Changing World. Edited with Lawrence Leduc and Richard Niemi. London: Sage (Completely revised 4th edition). 2014. 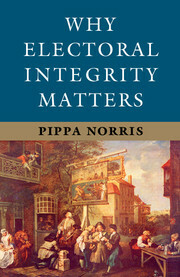 Advancing Electoral Integrity. Edited with Richard W. Frank and Ferran Martinez i Coma. New York: Oxford University Press. ISBN: 978-0-19-936870-9. 2013. Sacre e secolare 2nd edition. Italian translation, Milan: Egea. 2012. Making Democratic Governance Work: How Regimes Shape Prosperity, Welfare and Peace. New York: Cambridge University Press. Pp.281. 2011. 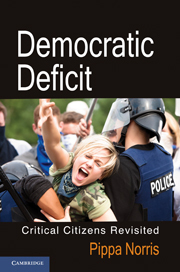 Democratic Deficit: Critical Citizens Revisited New York: Cambridge University Press. pp335. 2010. Public Sentinel: News Media and the Governance Agenda. Washington DC: The World Bank. Pp420. 2009. Sekularisasi Ditinjau Kembali: Agama dan Politik di Dunia Dewasa ini (Indonesian translation of Sacred and Secular: Religion and Politics Worldwide) Jakarta: Pustaka Alvabet. 2009. Sekularisasi Ditinjau Kembali Diterbitkan atas kerjasama. Jakarta: Pustaka Alvabet. 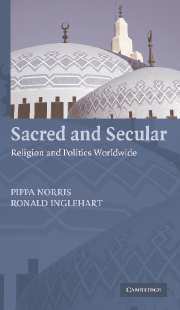 (Indonesian edition of Sacred and Secular). 2009. 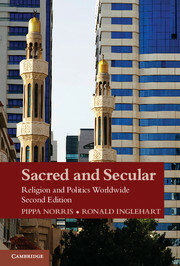 Sagrado e Secular Portuguese translation of Sacred and Secular, Sao Paolo: Editora Francis. 2008. Driving Democracy: Do Power-Sharing Institutions Work? New York: Cambridge University Press. Pp.306. 2007. The Politics of News: The News of Politics. 2nd edition. With Doris Graber and Denis McQuail. Washington, DC: CQ Press. Pp.268. 2007. Sacre e secolare Bologna: il Mulino (Italian edition of Sacred and Secular). 2006. الفارق الرقمي: الميثاق المدني، فقر المعلومات والإنترنيت الدولي /Al-fariq al-raqmi (Arabic edition of Digital Divide). 2006. Wzbierająca fala, Panstwowy Instytut Wydawniczy (Polish edition of Rising Tide) Crakow: NOMOS. 2006. Sacrun I profanum: Religia I polityka na siecie. (Polish translation) Crakow: NOMOS. 2005. 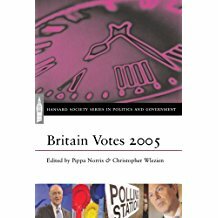 Britain Votes 2005. With Christopher Wlezien. Oxford: Oxford University Press. 2003. Framing Terrorism: The News Media, the Government and the Public. Edited with Montague Kern and Marion Just. New York: Routledge. Pp. 329. 2001. Britain Votes 2001. Oxford: Oxford University Press. Pp. 276. 1999. 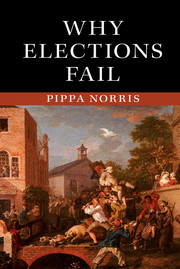 Critical Elections: British Parties and Voters in Long-term Perspective With Geoffrey Evans. London: Sage Publications. Pp. 310. 1998. Elections and Voting Behaviour. Hampshire: Ashgate Publisher. Pp.542. 1998. Critical Citizens: Global Support for Democratic Governance. Oxford: Oxford University Press. Pp.303. 1998 The Politics of News: The News of Politics. With Doris Graber and Denis McQuail. Washington, DC: CQ Press. Pp.268. 1997. 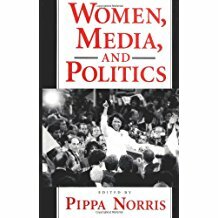 Women, Media, and Politics. New York: Oxford University Press. Pp.269. 1997. Politics and the Press: The News Media and Its Influences. Boulder, Co.: Lynne Rienner Publishers. Pp.333. 1997. Electoral Change since 1945. Oxford: Basil Blackwell. Pp.270. 1997 Britain Votes 1997. With Neil Gavin. Oxford: Oxford University Press. Pp.249. 1996 Women in Politics. With Joni Lovenduski. Oxford: Oxford University Press. Pp.239. 1996 Comparing Democracies: Elections and Voting in Global Perspective. With Lawrence Leduc and Richard Niemi. Thousand Oaks, CA/London: Sage. Pp.428. 3rd ed. 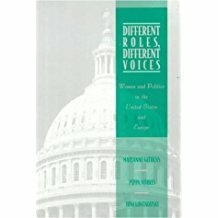 1994 Different Voices, Different Roles: Women and Politics in the United States and Europe. With Marianne Githens and Joni Lovenduski. New York: Harper Collins/Longmans. Pp.277. 1993 Gender and Party Politics. With Joni Lovenduski. London: Sage. Pp.358. 1993 British Elections and Parties Yearbook, 1993. With David Denver, Colin Rallings and David Broughton. Ann Arbor, MI: University of Michigan Press. Pp.242. 1992 British Elections and Parties Yearbook, 1992. With Ivor Crewe, David Denver and David Broughton. Ann Arbor, MI: University of Michigan Press. Pp. 267. 1991 British Elections and Parties Yearbook, 1991. With Ivor Crewe, David Denver and David Broughton. Ann Arbor, MI: University of Michigan Press. Pp. 312. 1990. British By-Elections: The Volatile Electorate. Oxford: Clarendon Press. Pp. 263. 1986 Politics and Sexual Equality: The Comparative Position of Women in Western Democracies. Harvester Wheatsheaf, Sussex; Lynne Reinner, Colorado, USA. Pp. 216.